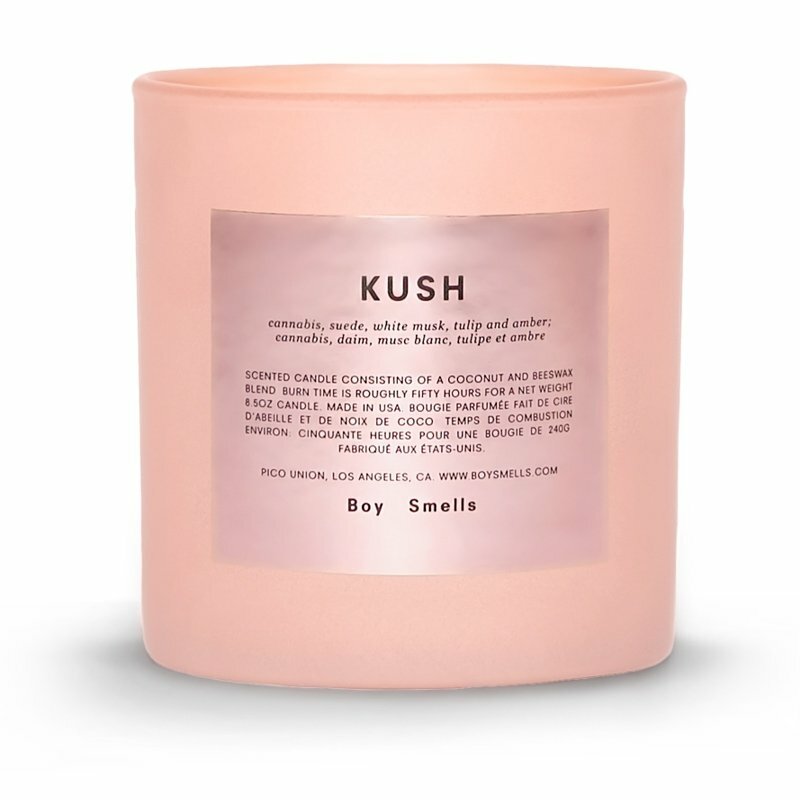 Boy Smells Kush Limited Edition Pink Candle is both pink and shiny! One of your favorite candles is now dressed up in Boy Smells signature matte pink color way. To top that, the labels have been switched out to be a reflective, shiny pink. Outrageous! Totally sophisticated, but fun too. Can you say LOVE? Available in limited quantities. Kush is green, bright, and a wisp of delicate floral. As the cannabis flowers and brushed suede warm up, the amber accord grounds this dank and intoxicating scent. A perennial favorite. Cannabis, suede, white musk, tulip, and amber.